“What is it about the relationship between fathers and daughters that provokes so much exquisite tenderness, satisfying communion, longing for more, idealization from both ends, followed often if not inevitably by disappointment, hurt, and the need to understand and forgive, or to finger the guilt of not understanding and loving enough?” writes Phillip Lopate, in his introduction to Every Father’s Daughter,a collection of 25 personal essays by women writers writing about their fathers. The editor, Margaret McMullan, is herself a distinguished novelist and educator. About half of these essays were written by invitation for this anthology; others were selected by Ms. McMullan and her associate, Philip Lopate, who provides an introduction. The contributors include many well-known writers—Alice Munro, Jayne Anne Phillips, Alexandra Styron, Ann Hood, Bobbie Ann Mason, Maxine Hong Kingston, among others—as well as writers less well-known but no less cogent, inventive, perceptive, lacerating, questioning, or loving of their fathers. I was particularly touched by the stories, which run the gamut of successful dads to distant and indifferent ones; the book truly embraces every type of father-daughter relationship…and if you’re a writer yourself, you’ll probably be inspired to pick up the pen and write your own. We’re honored to have Ms. McMullan with us today. L.L. : How did you decide which authors to reach out to for this collection? Margaret McMullan: In the last month of my father’s life, I read to him Alice Munro’s essay, “Working for a Living.” We had one of our last book discussions about that fox farm, the cold work, and the landscape of Canada. She was the first person I contacted. I wrote her a letter and a few months later she called and said yes, of course you can reprint my essay. I was just stunned. The other authors followed. I invited the authors my father loved or had met at some point in his life. He had dinner with Lee Smith once and she was so quick to respond. Lee led me to Jill McCorkle. I also included three former students. In the end, this collection of women writers became one big circle of friends. L.L: How did your vision for this collection evolve from the start to end of this project? Margaret McMullan: At first I saw this as a collection of southern writers, men and women. But then I realized I just wanted to hear from women, daughters. I moved away from regionalizing it when I began thinking of my father’s literary tastes and what kind of man he was. He was southern but he was also very much shaped by Chicago and the Mid-West. Each time I read an essay, I would think, Would Dad like this? L.L: What most surprised you about the creation of Every Father’s Daughter? Margaret McMullan: I was surprised how difficult such a great collection was to get published. Jane Smiley had a Pulitzer, Maxine Hong Kingston won the National Book Award, and Alice Munro had just won a Nobel Prize. I felt this book was no-proof. Who wouldn’t want to read these writers on this particularly personal subject? And who wouldn’t want to read about fathers? I’ve always thought this collection was a sure thing, but it was much more difficult to find a publisher than I had imagined. Apparently, anthologies were no longer fashionable in the publishing industry. One editor, who declined the book, has since contacted me to tell me how she genuinely regrets not taking it. L.L. : In your introduction, you talk about how this book was a way for you to grieve. How did you come to realize this? Margaret McMullan:This particular work felt meaningful because all along I thought so much about my father. I started soon after my father died. The work – reaching out to other women, asking for their stories, and then reading them was therapeutic because it reminded me that there are other emotions besides grief. After a while, after I organized and put together the book, after I wrote my own essay, my grief transformed. It felt less like sadness and more like love. Margaret McMullan: I have encountered so many readers who have read the book and want to talk about an essay, and then, inevitably, these readers begin to tell me about their fathers. A conversation starts. This book has a power. We are remembering our fathers, and, in some cases, bringing them back to life. L.L. : Did you come to realize anything about your relationship with your father as you read through the essays in this collection? Margaret McMullan: I knew from the start that we were close, and that a good part of that closeness was how we stayed connected through literature. Now, I realize exactly how close we really were. L.L. : Thank you so very much for being with us today, Margaret. About the Author: Margaret McMullan is the author of six award-winning novels includingIn My Mother’s House (St. Martin’s Press),Sources of Light(Houghton Mifflin Harcourt), Cashay (Houghton Mifflin Harcourt), When I Crossed No-Bob (HoughtonMifflin Harcourt), andHow I Found the Strong (Houghton Mifflin Harcourt). Her writing has appeared in The ChicagoTribune, Ploughshares, Southern Accents, TriQuarterly, Michigan Quarterly Review, The Sun, and many otherpublications. 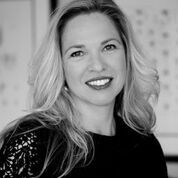 She received an NEA Fellowship in literature forAftermath Lounge and a Fulbright award to teach at theUniversity of Pécs in Pécs, Hungary, for her upcoming non-fiction work,Where the Angels Live. 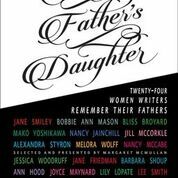 Her anthology ofessays by 25 well-known female authors writing about their fathers,Every Father’s Daughter (McPherson &Company), is also available in Spring 2015. She currently holds the Melvin Peterson Endowed Chair in Creative Writing at the University of Evansville in Indiana.